We offer a free initial consultation for new clients. We have different payment plans that include an affordable initial deposit and we will work with you to design a payment plan that will work for you. With practice areas including Family Law (Divorce, Child Custody, Support, Post-Decree), Foreclosure Defense, Real Estate, Short Sales, Estate Planning and Civil Litigation, D & L can provide you with knowledgeable representation when you need it. You can trust that the experienced lawyers at Diamond & LeSueur, P.C. will be able to help you with your legal needs. Our attorneys will take the time to explain your options, guide you through the legal process, and communicate with you about your case from start to finish. We are always ready to fight the good fight for our clients! We offer an affordable initial deposit and a variety of payment plans. Diamond & LeSueur is a local, well-established law firm with experienced and compassionate attorneys who will listen to you, will explain things in a way that you can understand, and who will aggressively represent you and fight for your rights. At Diamond & LeSueur, we understand that when a marriage is ending it is much more than a separation of 2 people. It is a separation of families and friends, finances, possessions, property, lifestyle, dreams for the future and more. With such important decisions to be made, it is crucial that you retain an attorney who listens to you and has a clear understanding of your needs and goals. Our legal team can assist you with a wide range of family law cases, including: Divorce Child custody Child support Enforcement actions Post decree modifications Paternity Prenuptial agreements Adoption Parent's rights and more. Overwhelmed? Intimidated? Scared? Confused? Depressed? Angry? It is natural to experience these feelings. Family law issues are emotional in nature and sorting through these complex and critical issues can be painful as well as intricate. Your attorney is your ally, friend and legal advocate, and selecting the right lawyer will make a world of difference in the outcome of your divorce. That's why it is important to select a divorce attorney with experience who also has empathy for what you're going through. We provide you with the guidance and support needed to resolve family law issues using our decades of family law experience. The last few years saw big changes in Illinois family law and our legal team is engaged in continuing education so that we are up to date on changes in the laws. Are you looking for an attorney who speaks "legalese" and won't listen to you? Of course you aren't looking for an attorney like that, but they do exist. Communication is an art. We take the time to really listen to what you have to say. We will ask you about your personal and financial goals and help you create a plan to achieve them, while protecting your rights and interests along the way. Clear communication is vital in family law and we pride ourselves in being able to explain your case, your options and the entire process in a way you can understand. If you are ready to take the next step, let us put our 40+ years of experience in family law to work for you! Our philosophy for divorce and family law clients is to first address the needs of our clients. At the same time, we use common sense and practical techniques to minimize legal fees. Whenever possible, we encourage parties to cooperate and try to work out a settlement. Simply put, dissolution of marriage in many cases is similar to the dissolution of any other partnership. First, there needs to be a complete disclosure of all matters. Next, there needs to be a proposed settlement. A majority of the time in family law is spent in these negotiations by the attorneys. While litigation involves a dispute between parties, we encourage cooperation and communication between parties. With cooperation and communication we can get the results you want more quickly and with less expense. However, sometimes, peaceful negotiation isn't enough. When your case calls for aggressive representation of your rights, you need lawyers who will passionately defend your interests and who have intimate knowledge of the court system in McHenry and Lake Counties Our legal team includes family lawyers who are skilled in negotiation, Illinois divorce law, and trial law. From simple uncontested matters to complex cases that are headed to the courtroom, our attorneys are ready to serve you and get you the closure you are looking for. We encourage you to meet our team and ask us questions about our long-established family law practice here in Northern Illinois. Contact us today for a free consultation. We first focus on helping struggling homeowners understand all of their options such as: loan modifications, short sales, or staying in the property as long as possible. We then help our clients create a strategy that suits their needs. There are many options available to assist struggling homeowners including, but not limited to, loan modifications, short sales or staying in the property as long as possible. Unfortunately, some of these options take many months to pursue and many lenders do not stop foreclosure proceedings just because you are attempting one of these options. This is why it is important for you to be aware of all of your options as early as possible in this process. We know and understand that anybody going through this process feels a tremendous amount of stress and pressure. We help to alleviate this stress and pressure by outlining all of their options and helping them formulate a customized plan to follow the path of least resistance to reach their goals. We also offer to continue guiding our clients through the foreclosure process to help them stay focused on the path towards relief. Many of our clients facing foreclosure feel quite relieved after they have reviewed the various options with us. Call us today to arrange a free 30-minute initial consultation and take control of your future. Diamond & LeSueur's primary practice areas have evolved out of a combination of the needs of our clients and the experience of our attorneys and staff. Our firm has provided knowledgeable and compassionate legal services in McHenry County and Lake County, Illinois for over 50 years. With this long history of service in our community, we remain committed to providing exceptional legal representation while maintaining a small-town feel. Using our insight and resources, it is our goal to change the way people view their attorneys by providing compassionate and understandable legal solutions. We return phone calls (usually within 1 business day) and strive to explain things in terms clients can understand. Our goal is to help our clients solve their legal problems. Samuel J. Diamond is the founding member of the law firm of Diamond & LeSueur P.C. Prior to the establishment of Diamond & LeSueur in 1982, Mr. Diamond spent 6 years in the office of the McHenry County States Attorney and, subsequently, the law firm of Looze & Kinney, one of the oldest partnerships in McHenry County. 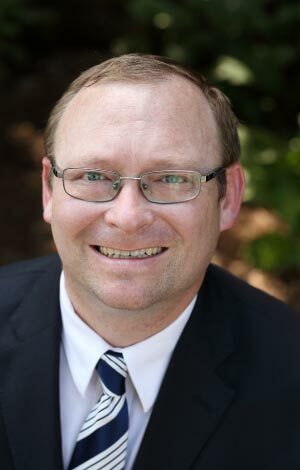 Sam Diamond has provided legal services over the years in foreclosure defense, real estate law, family law and domestic relations, wills and trusts, transactional matters and other matters relating to the general practice of law. 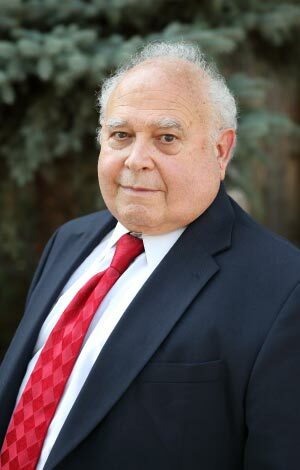 Sam Diamond served as Village Attorney for numerous municipalities including the Village of Richmond, the Village of Spring Grove, the Village of Prairie Grove and the Village of Island Lake, for whom he served as counsel for over 35 years. Considered an expert in land development aspects of municipal law, he has lectured to Municipal Officials at McHenry County College on the subjects of annexation agreements, land use, and zoning. He was also a featured speaker at the 2004 Illinois Environmental Law Conference of the Chicago and Illinois State Bar Associations on the subjects of Land Use and Zoning. Drake Shunneson brings a strong background in foreclosure defense, general civil litigation and bankruptcy law to our legal team. His practice is currently focused in the areas of foreclosure defense, family law and general civil litigation. A strong, compassionate litigator, Drake also has an extensive background in different areas of law, including personal injury, workers' compensation, and immigration. 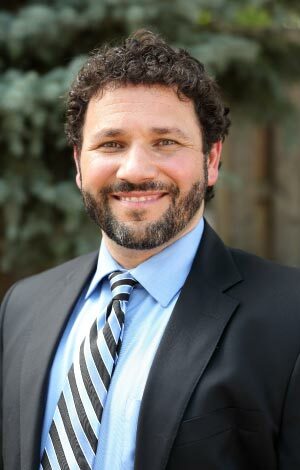 In 2004, Adam Diamond joined Diamond & LeSueur as a municipal prosecutor, corporate municipal attorney and real estate attorney. To expand his real estate knowledge, in 2007 he acquired an Illinois Real Estate Broker's License and became an active member of the Heartland Realtor Organization. Adam assists our real estate clients with not only traditional sales and purchases, but with HUD and REO transactions, short sales, and other complicated real estate transactions. Adam frequently teaches classes and seminars to the public focused on assisting distressed property owners with understanding their options and dealing with foreclosure. He also lectures to attorneys and realtors in the areas of short sales, bankruptcy and foreclosure defense, and how these options intertwine with one another. Adam also dedicates time to give back to the community. He served on the board of directors for the McHenry Area Chamber of Commerce and he is a founding member of the Rotary Club of McHenry Sunrise. Jean comes to Diamond & LeSueur after having done work for the Illinois Bar Foundation, the Administer Justice Legal Clinic in Elgin, Illinois, and the Illinois Department of VeteransÃ¢ÂÂ Affairs in Chicago, Illinois. Jean primarily practices family law and is a Village Prosecutor. Her calm yet tenacious demeanor serves her well as she advocates for her clients in and out of the courtroom.